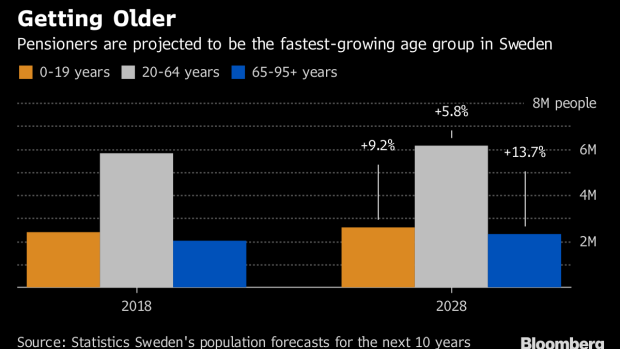 (Bloomberg) -- Sweden’s got a major supply and demand problem. Its fabled welfare state is forecast to need an extra 208,000 employees by 2025 just to keep up with growing demand. Trouble is, only 207,000 workers are projected to join the country’s entire labor force (comprising both the private and public sector) over the same period. To contact the reporter on this story: Amanda Billner in Stockholm at abillner@bloomberg.net.